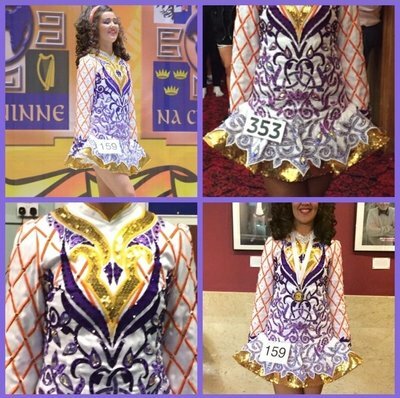 This unique dress is embroidered all over with three shades of purple, orange cross selves and gold. This dress has only been worn 4 times and is as good as new.It has over 1000 swarovski stones (replacements for touch up will be given) comes with white pants. Asking Price: £1200. Shipping costs are included in the asking price for worldwide shipping. Returns are negotiable.